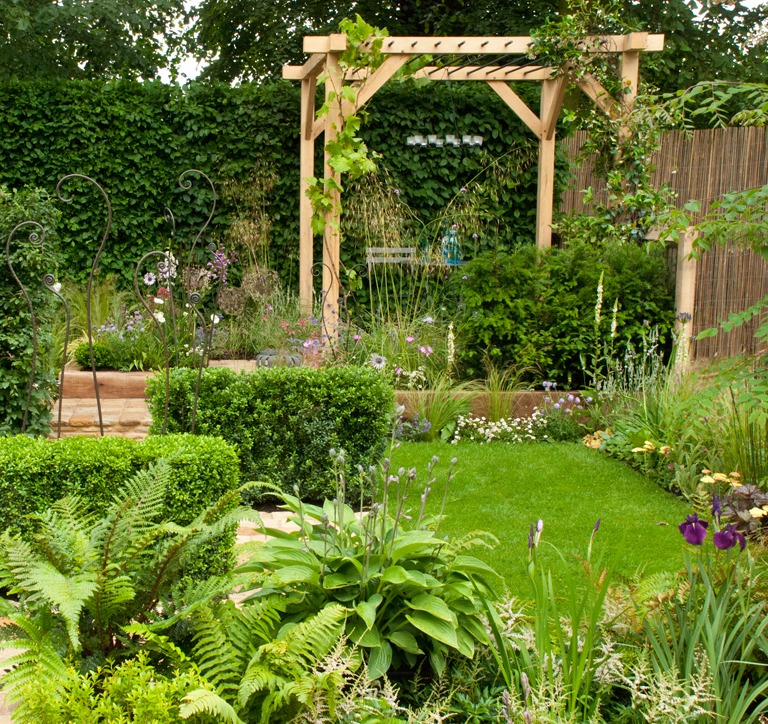 The Low Cost, High Impact gardens category was put together in association with The Association of Professional Landscapers (APL). 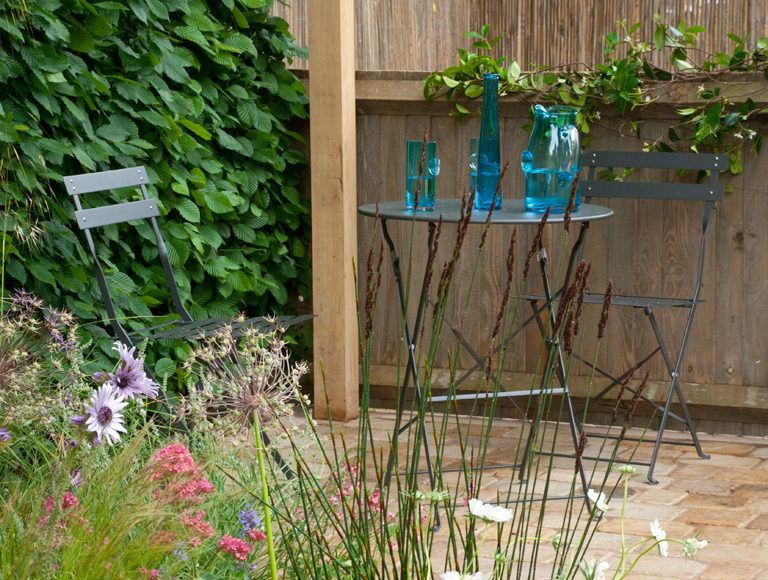 The idea of the garden category was to demonstrate that high quality design can be achieved with a fixed budget. This garden was designed by Nilufer Danis and built and sponsored by Landform Consultants. The design was for a young couple in a new home with a budget of just £7,000. There was an intimate seating area for relaxation, set on a lower level to add another dimension to the space. I loved the use of recycled materials in this garden, reclaimed scaffolding boards used for the walls which doubled up as extra seating. 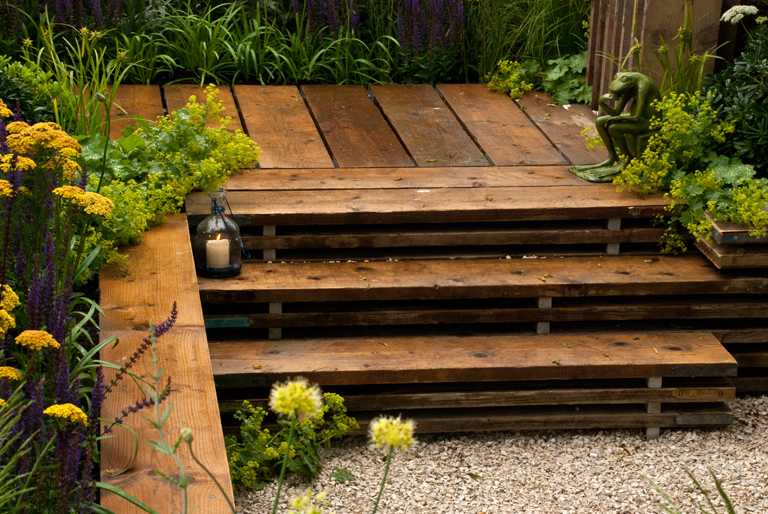 The scaffold boards were used on end for a bench seat too along and for the boundary fences, decking and steps. I think this brought a rustic feel to the garden whilst maintaining strong contemporary lines. The planting was designed for summer impact, yellows and deep blues with the foliage of shrubs and trees. 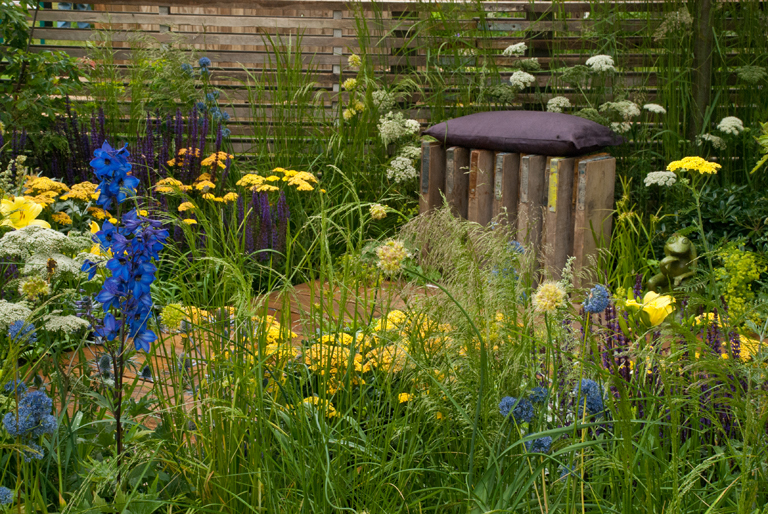 This garden won a Gold medal and Best In Category. 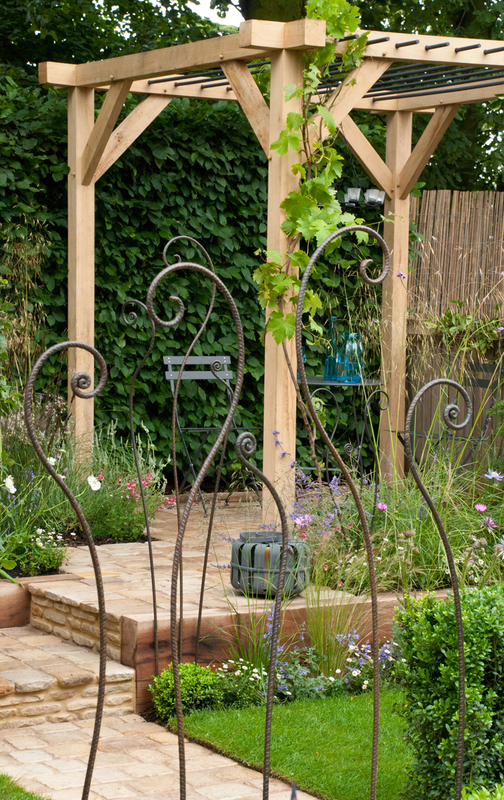 This garden was designed by Richard Wanless of Twigs Gardens. 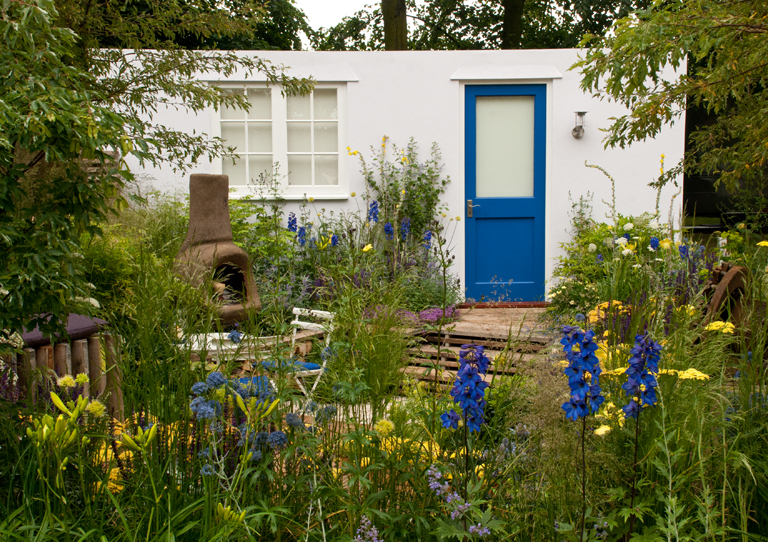 The budget for the garden was £10,000 and was designed for a couple living in a Victorian terrace house. 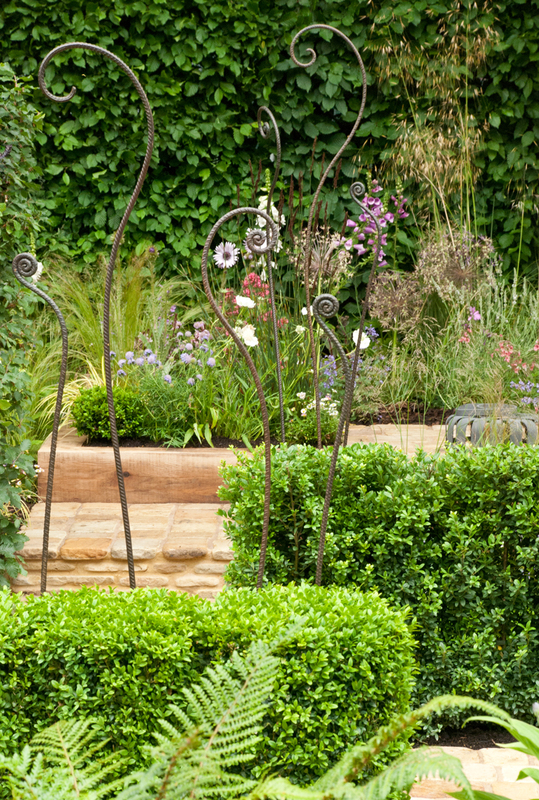 This was really well balance and I loved the metalwork uprights which provided a barrier without blocking out light and views of the rest of the garden. I think they had been sculptured from the steels rods you use for strengthening concrete. The intimate seating area at the end of the garden was set underneath a timber pergola. 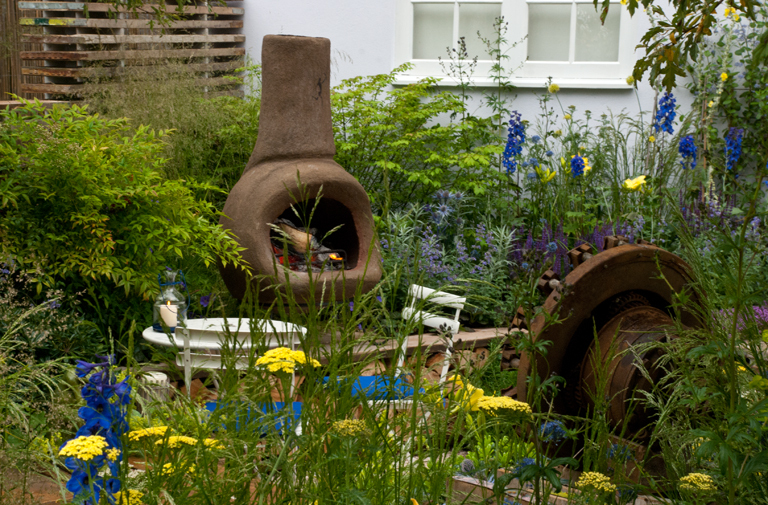 This garden was awarded a Silver Gilt medal and was voted the People’s Choice award in the Small Gardens category.